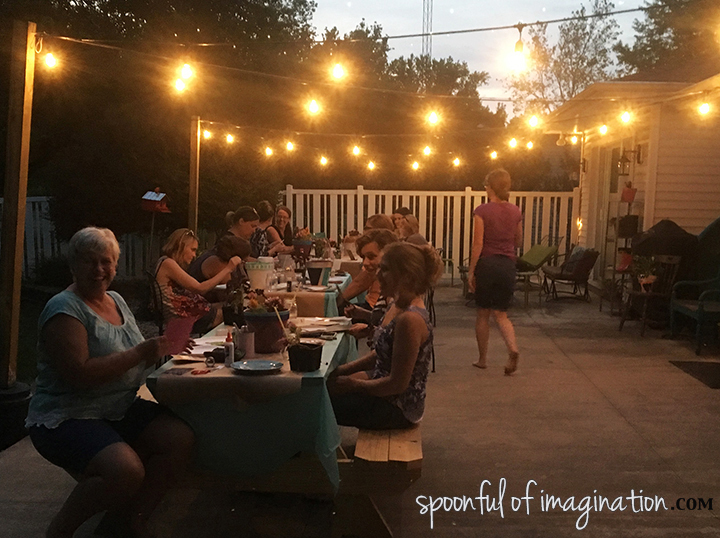 Do you want to host a craft night? 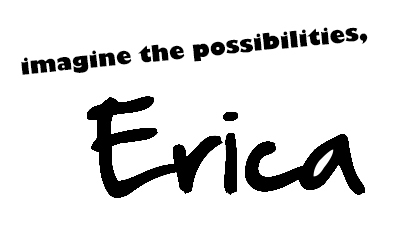 Or maybe you’re looking for a way to connect with other local women in your area. 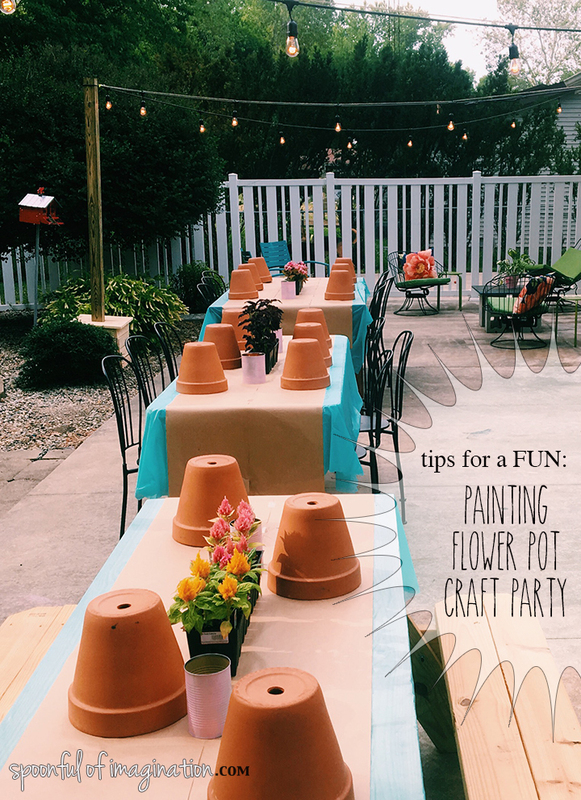 Either way, it’s the perfect season to host a painting flower-pot party. You can walk away having hosting a craft night also getting to know others in your community better. That was the case for me. Now, that we have been in Indiana for about 18 months we have established some community. It would be real easy to stay in my comfortable bubble and keep life safe. But I believe one of the best parts of life…is sharing it with others. I love heart to heart talks. I always walk away encouraged or challenged. It may be because I shared about my life or because I listened to others. I am working on my word for 2016 in having courage, so I started dreaming about sharing my ways with others and opening up my home for some craft classes here. 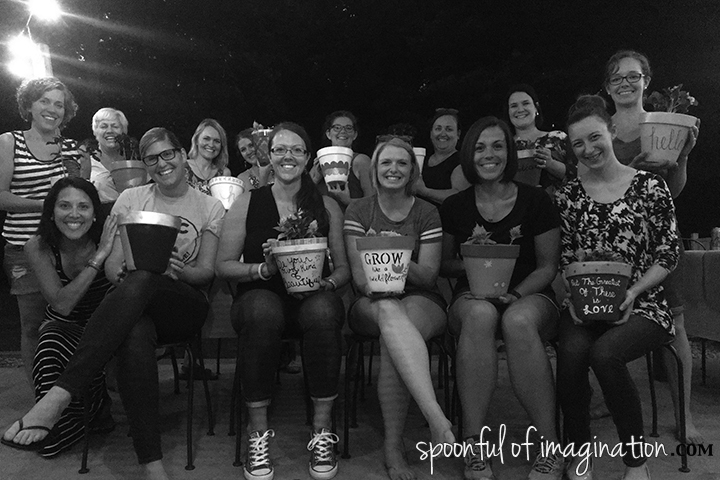 If you’ve been following for a while, you know I did this a little in Georgia, which we called my Spoonful Labs. One day, while walking through church I realized how awkward I am at meeting people in the hall. I feel like I often have a kid pulling on me or I’m watching one run after a friend ahead, so I’m quickly walking through the halls. Although I may say hi to 100 people, I don’t know much more about them at times and I want too. Often community takes putting yourself out there, so this was my way to try to make some more friends. You can do it too. I planned a craft that I could get the supplies for. 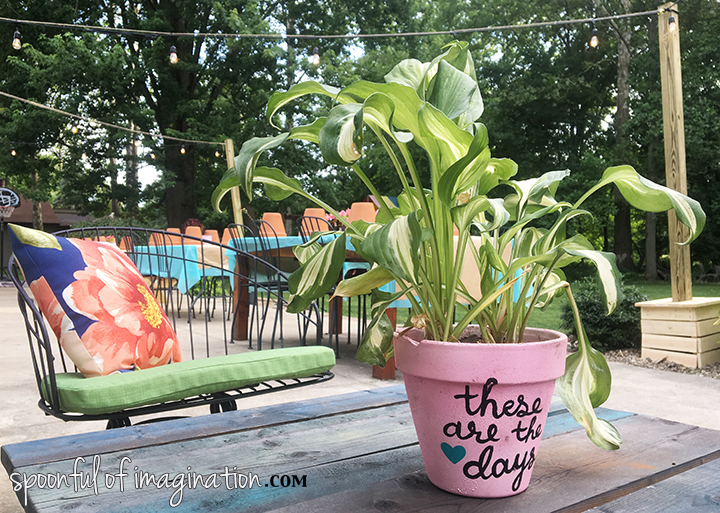 Since it is summer, I thought painting flower pots would be fun and is a seasonal decor item that everyone can use. 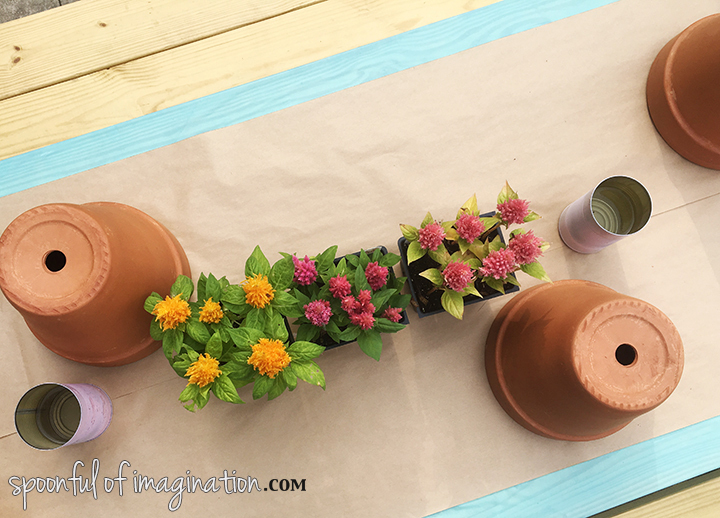 Even if you aren’t super crafty, you can paint a pot and wouldn’t feel bad putting it in your yard. 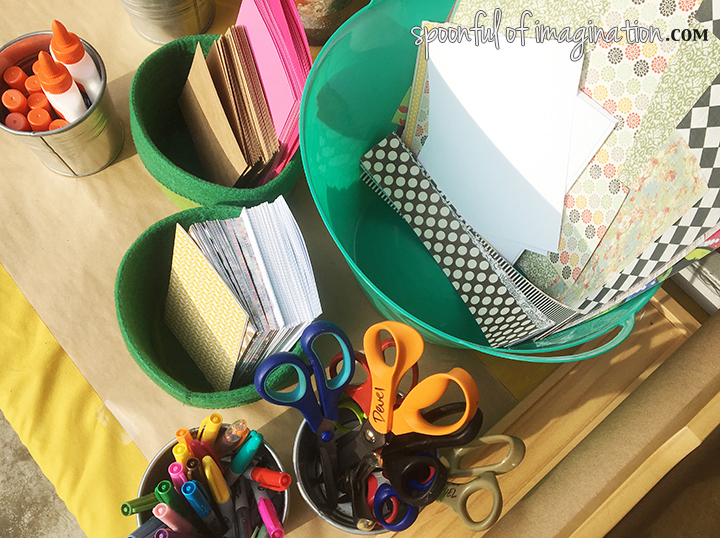 I think planning a craft that is useful is key! The next step was getting guests! I ended up just posting a Facebook status asking if anyone else was interested in crafting and chatting. I was amazed at the responses I got! That led me to pricing out what my costs would probably be. I bought all the supplies, tablecloths, and drinks. I ended up asking everyone to bring a side to share. 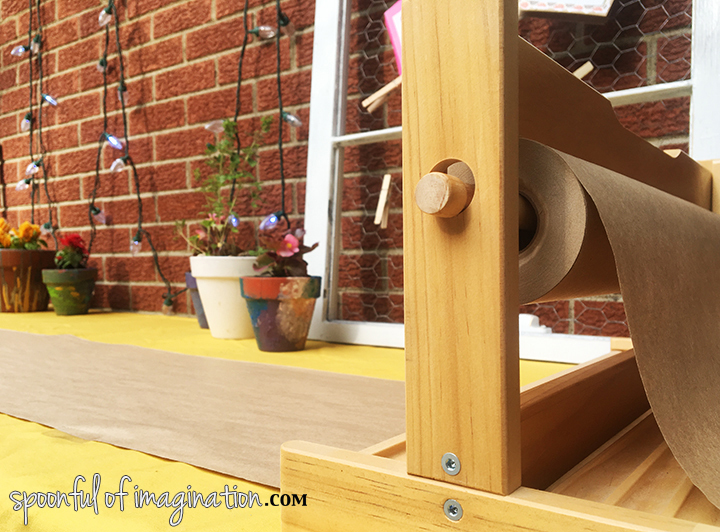 This gave away the part that stresses me out, kept the cost down, and kept me planning the part I most enjoy – the craft! I learned from hosting my last craft day. 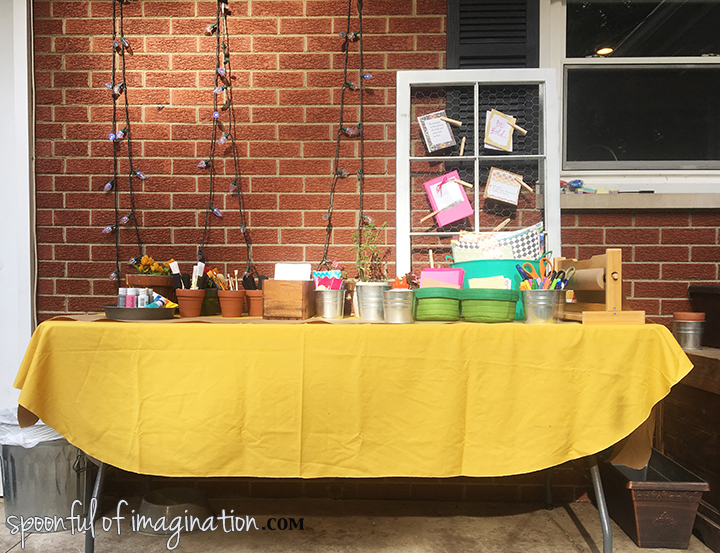 I used brown painting paper to place on the tables and had extra for my guests to take a piece in the car home with them to keep their pot from getting the floor dirty. You will see why below on how the cars could get dirty. 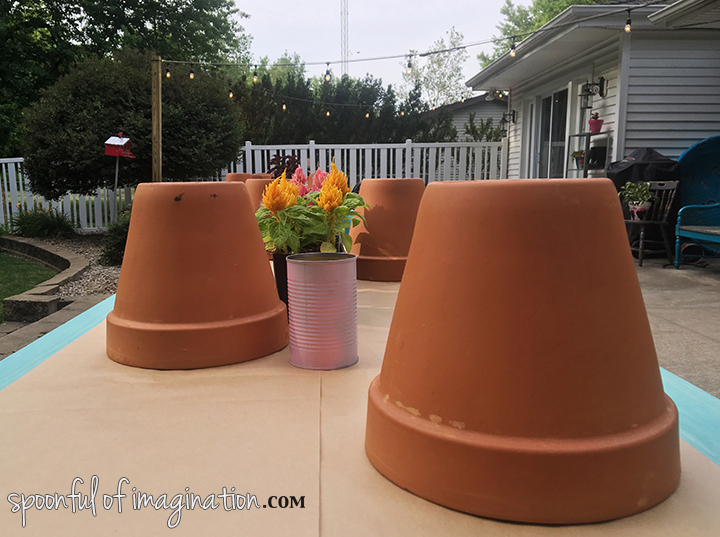 I gave instructions on how I painted a few pots that I had on my patio. 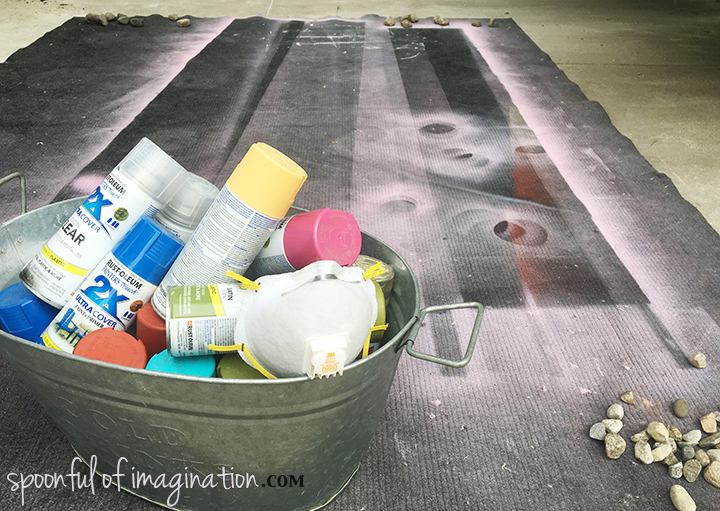 One of the tips that was the biggest hit was to spray paint the pot a solid color first and then embellish. Please note: I sprayed all the pots with a waterproof sealant 48 hours before. Try your paint before the event. 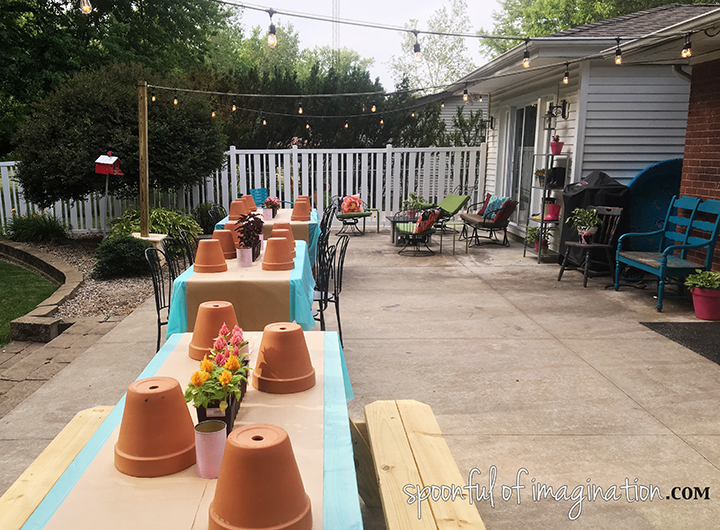 I have painted LOTS of pots but bought a new brand of outdoor paint right before the event. It turned out to be watery. Have lots of different brushes out in sizes and types. I loved having a little surprise for my guests. All the flowers that were used as centerpieces on the tables were for them to fill their pots. 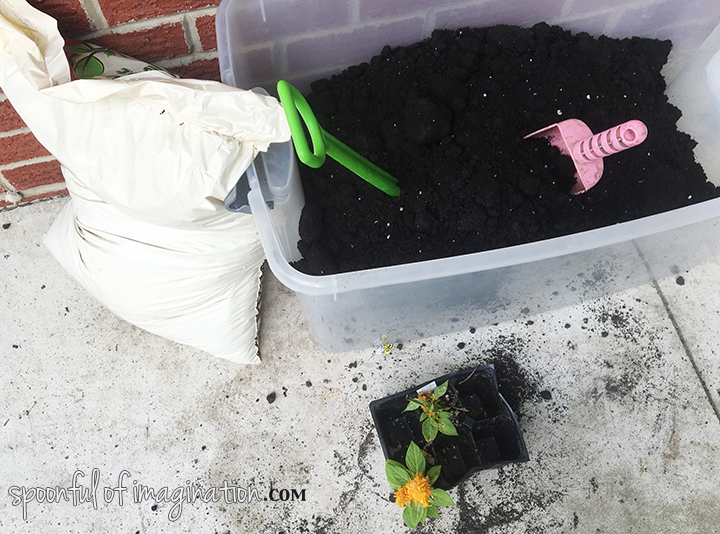 How much more fun is it to take home a flower-pot with dirt and flowers in it than an empty one that might just sit in the garage!? As guests arrived, we did a little mingling. We then ate as we talked. 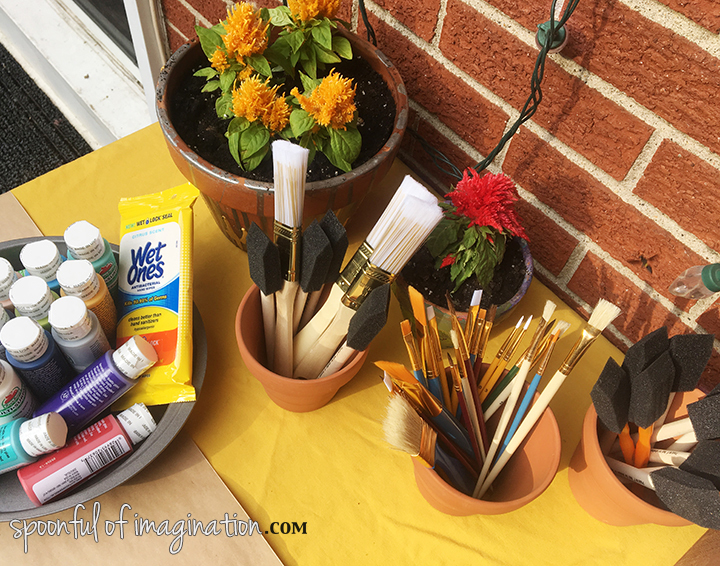 I gave a brief explanation on how to paint flower pots and told my guests they could make some greeting cards as they sit and wait for paint to dry as well. From there, it was just a fun night. I wanted it to feel more casual than an official event or class, so I didn’t talk for long. They just crafted away. I decided I’d mingle and talk and be available to help anyone. This helped since I didn’t give lots of step by step instructions. It was so much fun! I think I was giddy all night long. Now, when I smile at the girls at church I feel like we both know each other a little better. 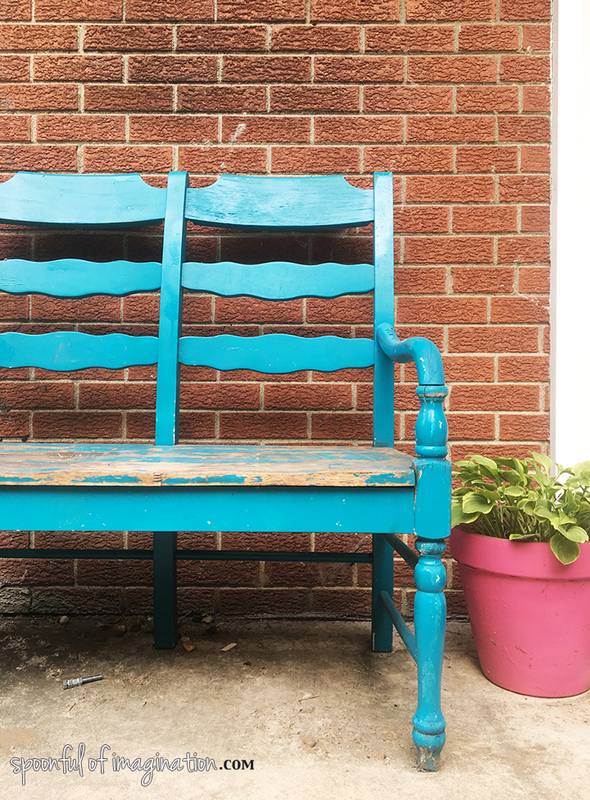 Sometimes the first step to a friendship is just saying hello, but sometimes we need to branch out a bit more and share parts of our lives, talents, homes in serving or hosting or something. I am so glad I branched out. To all the beautiful girls that came, THANK YOU! I had a blast with you! My biggest advice to anyone wanting to host a craft night with some friends is to not stress over the details. Ask for help with the parts that you don’t like. What people want most is to feel welcomed and comfortable. How clean your bathroom is doesn’t really matter. 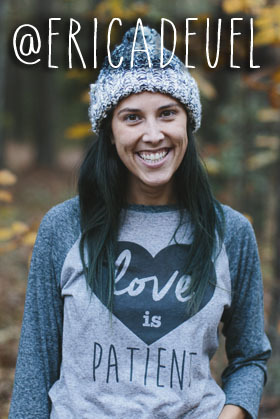 Do you like crafting and chatting too!? I love deep talks, but sometimes a coffee date can intimidate me on getting to know someone without something in my hands. Crafting is my favorite way to talk with others. A fierce game of kickball with my kids and their friends is fun too. I plan to do that this weekend. What is one of your favorite ways to hang out and talk with friends? I hope you have a great weekend! I love this! This is something I might actually be able to pull off! !